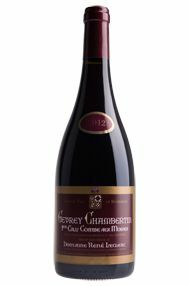 The 2012 Gevrey Chambertin Combe Aux Moines from Rene Leclerc has a rather strange, lactic element on the nose, even hints of brown sugar sprinkled over the red fruit. The palate is sweet on the entry, a little chewy in the mouth and rather worked, consequently missing some finesse and tension on the monotone finish. Neal Martin, The Wine Advocate. 30th October 2015.